3. Riyadh To Dammam via Abqiq and Hufof railway stations. 4. Dammam To Riyadh via Hufof and Abqiq railway stations. In between these two cities, Two more stations Abqiq and Hufof, where via trains will halt for few minutes (5 to15 minutes). 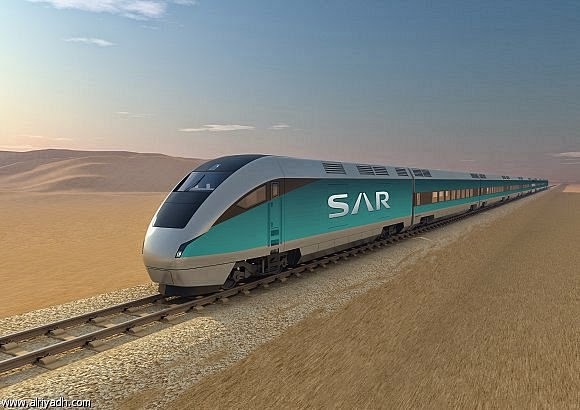 - As per recent article in Arab news, From June 1st 2016, The trains will increase their speed and you can reach your destination Riyadh or Dammam in just 3 hours 40 minutes. 1. Go to railway station, Before one day of travel for booking your ticket. Sometimes (luckily) you get just before few hours of train departure. - While booking online you must select "PAY ONLINE" which will give you 3 days time to pay online by aloting bill reference number. - You can pay for your ticket through your internet banking or atm by entering bill reference number in SADAD section of banking. 2. Madina to Makkah train via Kaec and Jeddah railway stations. 3. Riyadh to Jeddah, Jeddah to Riyadh.